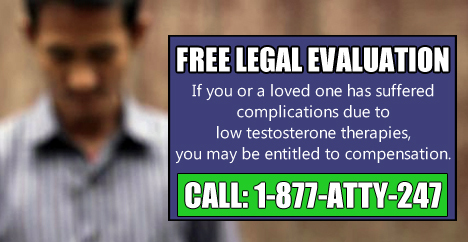 Keefe Bartels is investigating alleged claims of serious and sometimes fatal side effects suffered by patients who were prescribed "Low T" drugs for testosterone therapy, or TT. February 27, 2014	(Newswire.com) - Keefe Bartels is investigating alleged claims of serious and sometimes fatal side effects suffered by patients who were prescribed "Low T" drugs for testosterone therapy, or TT. Recent medical studies suggest testosterone therapies are linked to serious cardiac problems. One study in the journal PLoS ONE (funded by the National Institutes of Health) concluded: "In older men, and in younger men with pre-existing diagnosed heart disease, the risk of MI following initiation of TT prescription is substantially increased." In fact, the study found that men 65 and older had double the rate of heart attacks in the months after starting the therapy, as did those younger than 65 with a previous diagnosis of heart disease. Despite these troubling findings, TT prescription therapies have actually increased in recent years. You can view the safety alert here: http://www.fda.gov/drugs/drugsafety/ucm383904.htm. The potential risks identified with these testosterone therapies are troubling because in many cases, patients may not actually require treatment for low testosterone. Keefe Bartels is investigating such claims to see if the allegations are true. The law firm of Keefe Bartels consists of a dedicated NJ personal injury lawyers dedicated to upholding the legal rights of victims who have been injured due to any type of accident, a defective drug, defective product, or any form of fraud. John E. Keefe, Jr. and Patrick J. Bartels announce Liana M. Nobile as new associate to Keefe Bartels. Liana concentrates her practice in class action and personal injury litigation. The New Jersey Law Journal formally announced that attorney Joshua Kincannon is a recipient of one of this year's New Leaders of the Bar awards. An Essex County, New Jersey jury awarded a Newark man $785,000 for being wrongfully arrested and imprisoned for 490 days for crimes he did not commit.